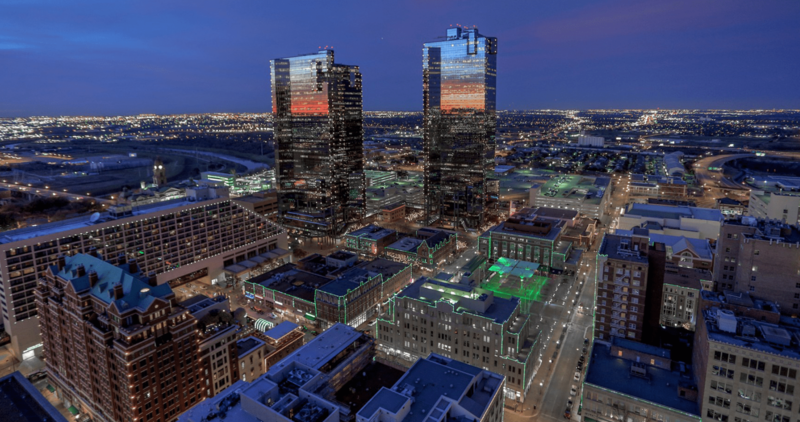 IMMACULATE condo in Downtown Fort Worth! Step onto your balcony and enjoy the view! High ceilings in a bright open living space with stunning hardwood flooring. Granite counter-tops, stainless appliances, cozy breakfast nook and a beautiful formal dining room. Split bedroom floor-plan. Master suite includes a built in desk as you walk into the room with a gorgeous granite top, huge walk in closet, separate shower, garden tub and dual sinks. Warm neutral tones, 2 inch blinds, ceiling fans, updated modern lighting, appealing arches that bring a touch of elegance to the home. Gated community! Private community pool area perfect for relaxing!